Antibacterial coated 4 door locker unit with individual compartments separated by metal shelves. 2 intermediate compartments height: 417mm. Available in 3 door colours. 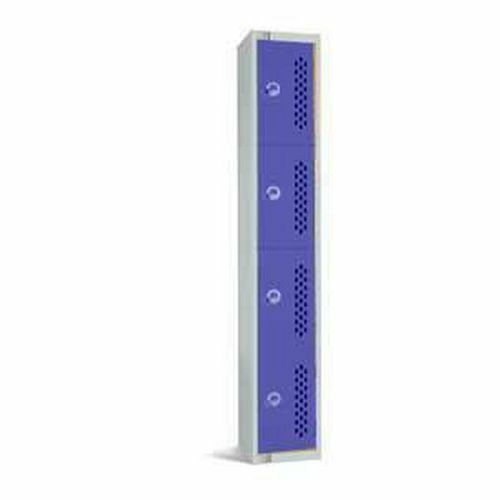 With multi perforations, these 1-6 door lockers are ideal for keeping items secure but ventilated. Ideal storage lockers for staff.